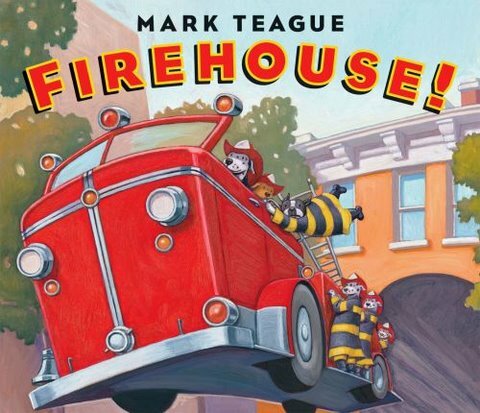 I was excited to get to review this super cute kids hardcover book called Firehouse! I love the colorful pictures and the animals in this story! Thanks Scholastic for another great book! Join Edward and his cousin Judy as they spend a hilarious day learning how to be firefighters. From a fire drill that leads to a slippery slide down a fire pole, to a hysterical battle with an out-of-control fire hose, Edward is in for an action-packed adventure. And when faced with a real emergency, can Edward save the day? Mark Teague is an award-winning children’s book author and illustrator. His books include Funny Farm, a 2009 Parents’ Choice Silver Award Picture Book; Daer Mrs. Larue, the 2002 Book Sense Illustrated Book of the Year; Detective Larue; Larue for Mayor; and Pigsty. He is also the illustrator of the New York Times bestselling How Do Dinosaurs series by Jane Yolen. Mark lives in New York State with his wife and daughters. This book is valued at $16.99 each. You can buy one here on sale for $11.89! I get to give away one of these cute hardcover books! Giveaway ends on Tues. June 8th, 2010! im leaving a comment for 1 entry! We love firehouses! This looks cute and informational, too! I have the TTSC button. I follow your family too! I follow you at TTSC. Sounds like a cute book, I'd like to have it for my grandkids!! I follow this blog on gfc. I want to win this for my niece or nephew! This looks like such a cute fun book! Oh, I would LOVE this book! My little guy loves fire trucks! Follow your blog on google reader. leaving a comment... I really do enjoy the book reviews! This looks like a cute book. I'd love to win it for my daughter. wow this book would be great for nicholas. He loves fireman, especially His uncle Randy who IS a fireman! Just signed up to follow your blog. Thanks. I am now following this blog. I just put a button on my blog. My kids would love this book! So cute!! Would love this for my little cousin! I would love this for my daughter ! Looks like a super cute book. 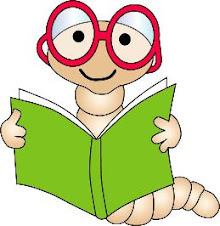 We are always looking for another book with a fun story. My little guy would love this book! An award for you here. The kids would love this book. Thanks for the chance. Would absolutely love to read this with my boys. This would be a great book to add to my daycare library. It looks like a really cute book. Love to win this for my grandson Bailey. My grandson would be SO excited over this book! I follow your Book Giveaway blog! 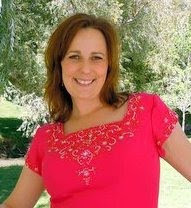 I follow your Seeking Sisterhood blog! My nephew just finished the Fire Academy. This would be great for his little girl. Please enter me. My nephew would love this book since his Daddy is a fireman :o) Thanks! I would like to be entered. My friends son would love this. Thanks for the chance. I found the video to be intriguing and this book I am sure I would take pleasure in reading to my grandson. Thank you so much for hosting this giveaway. I'd love to share this with my daughter! this looks like such a cut ebook! I would love to have this for my grandchildren. Would love to win this for my preschoolers! My son loves this author, especially the How do Dinosaurs.... series. I follow scholastic on twitter as kmayans. would love this book for my son max! now following scholastic on twitter as scoop500. i follow you on twitter as scoop500. My grandchildren would love this..my dh is a retired firefighter and my son worked as a firefighter..I'm a follower and I'm on my way to visit on facebook. thank you! My grandchildren would enjoy having their grammy read this story to them. lol My four-year-old too. Thanks. You link is posted on my GAhome2mom blog for the previous entry. (book review blog) Thanks. My daughter would love this book! Thanks for having this giveaway. My sons would love to win this book! I follow Scholastic on Twitter!